For the Taurani Diwali party, Sophie was spotted wearing an off-shoulder lehenga by Dheeru & Nitika with jewellery from Firdaus by Akshita and a fringe Inayat bag. She wore the look well. On an aside though, I wish the embroidery on the skirt ran all the way through to the hemline. That blank wide patch just looked odd once you noticed it. 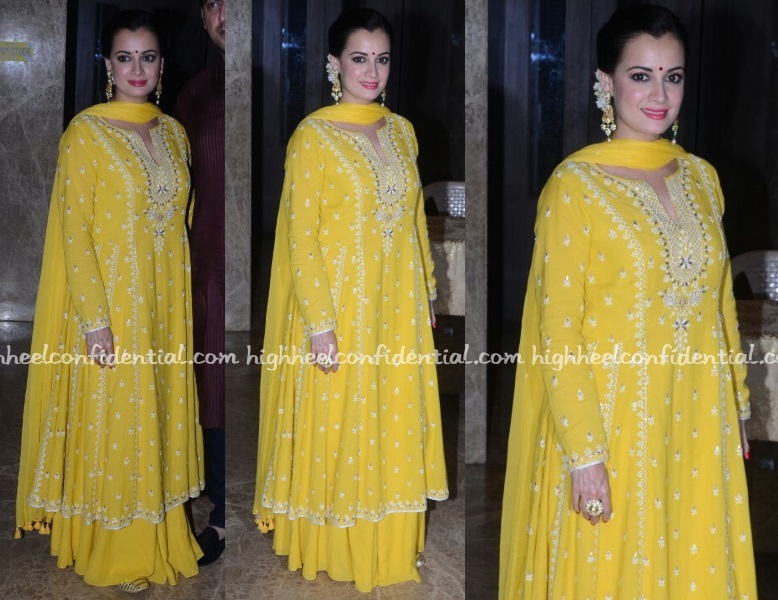 Neha attended the Taurani Diwali party on Sunday evening wearing an icy-hued (or is that white?) silk kurta and brocade red lehenga skirt from Raw Mango with sapphire drop kundan chaand balis finishing out her look. 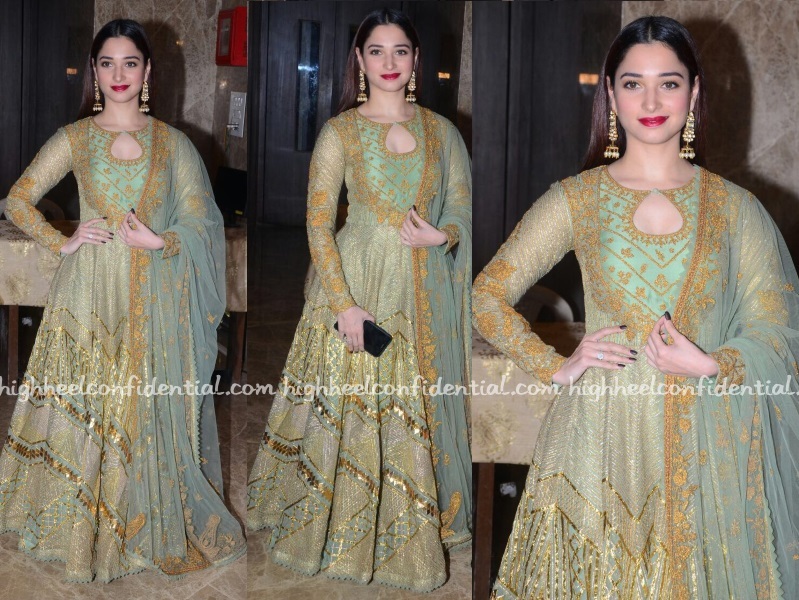 At the Taurani Diwali bash, Tamannaah was seen wearing a green Rimple and Harpreet Narula anarkali with jewellery from Mahesh Notandass. While I don’t mind the hair, the lip color seemed to clash with the anarkali itself. Now that I’ve seen her Instagram pic where the color looked more on the brown side, would’ve preferred a metallic shimmery brown on her here.